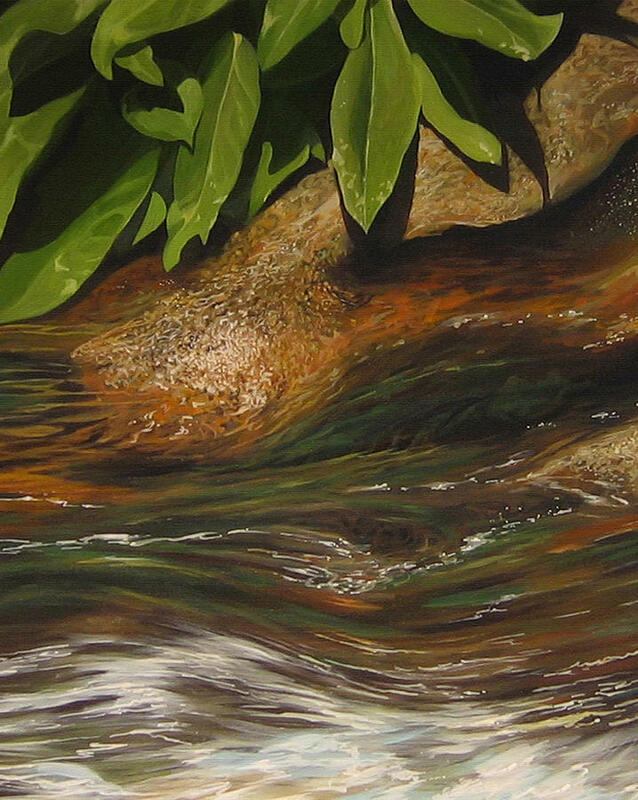 Flow is a painting by Hunter Jay which was uploaded on July 18th, 2007. Congrats to you on your sale! Wonderfully created!! Congratulations on your sale, Hunter!! Beautiful! One can almost feel the warming sun rays and hear the cool rushing waters on a late afternoon! Just want to sit there on a rock and relax! This one takes the cake! I'm right there when I look at it. Fantastic work Hunter. I am still just in awe over this piece and thought it deserved a bump into view. It is captivating...very nice :-) I have added to my favorites. This is one of my fave pieces, yet it doesn't seem to attract much attention. Thank you for noticing it. Fascinating…the water looks as though it will spill out of the canvas. Nicely done!